Tami Tyson | Keto and which oils are best? 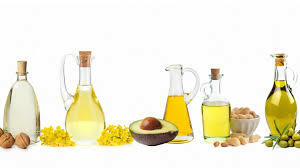 Keto and which oils are best? 02 Jan Keto and which oils are best? Most of your calories on a keto diet should come from fat. Don’t let this freak you out. It’s ok!! You get alot of fat from meat, fish, eggs etc. A really good way to add in more fat is with cooking. Add butter or coconut fat, and add plenty of olive oil to salads etc. You can also eat delicious high-fat sauces.